This paper presents a low-cost, lightweight robot arm with very low stiffness actuated by elastic tendons. To simplify the string tension control, a new winding device was developed. Small pulleys were incorporated into the winding drum to reduce friction between the tendon and the drum. A marionette-style two-link robot arm with compliant joints was prototyped. Because the arm and winding devices were separate from each other, the cost and weight of the robot were reduced. The links are made with lightweight wood connected by simple shaft joints. The robot design can be easily modified by the user because the mechanical parts do not require high machining accuracy. 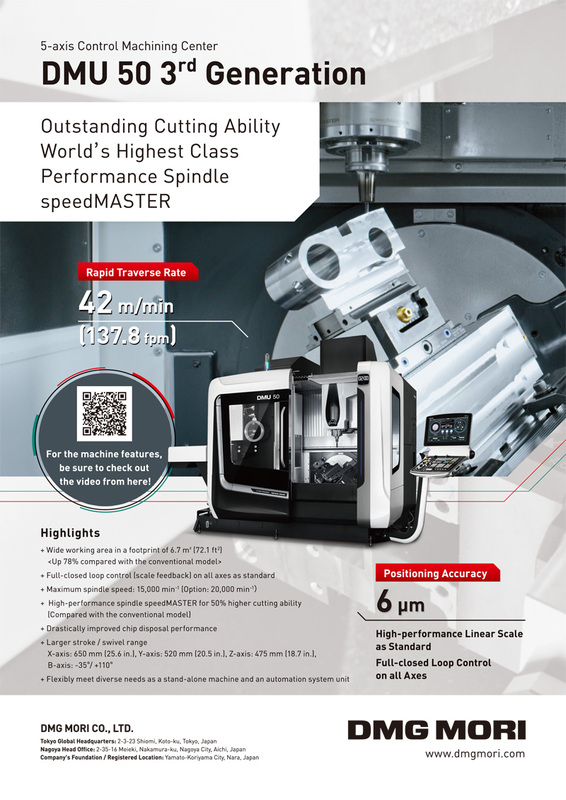 This robot is intended for implementation in tasks that do not require high positioning accuracy using a simple force control under environmental constraints. Because of its low stiffness, simple and sensor-less force control can be easily implemented based on the relationship between forces under static conditions. The proposed simple control method was evaluated experimentally by conducting position, static force, and hybrid position/force control tasks and was shown to perform well. The results also demonstrate that employing additional sensors, such as a camera, improves the accuracy of the controller. J. Togashi, K. Mitobe, and G. Capi, “Control of Low-Cost Customizable Robot Arm Actuated by Elastic Tendons,” J. Robot. Mechatron., Vol.28, No.4, pp. 509-522, 2016. H. Asada and Y. Kakumoto, “The dynamic RCC hand for high-speed assembly,” IEEE Int. Conf. on Robotics and Automation, Vol.1, pp. 120-125, 1988. Y. Xu and R. P. Paul, “A robot compliant wrist system for automated assembly,” IEEE Int. Conf. on Robotics and Automation, Vol.3, pp.1750-1755, 1990. T. Matsuno, T. Fukuda, and Y. Hasegawa, “Insertion of Long Peg into Tandem Shallow Hole Using Search Trajectory Generation,” J. of Robotics and Mechatronics, Vol.16, No.6, pp. 613-621, 2004. B. J. Waibel and H. Kazerooni, “Theory and Experiments on the Stability of Robot Compliance Control,” IEEE Trans. on Robotics and Automation, Vol.7, No.1, pp. 95-104, 1991. D. Whitney, T. Kurfess, A. Todtenkopf, M. Brown, and A. Edsall, “Development and control of an automated robotic weld bead grinding system,” ASME J. Dyn. Syst. Meas. Contr, Vol.112, No.2, pp. 166-176, 1990. G. K. Klute, J. M. Czerniecki, and B. Hannaford, “McKibben artificial muscles: pneumatic actuators with biomechanical intelligence,” Proc. Int. Conf. on Advanced Intelligent Mechatronics, pp. 221-226, 1999. B. Tondu and P. Lopez, “Modeling and control of McKibben Artificial Muscle Robot Actuators,” IEEE Control systems magazine, pp. 15-38, 2000. 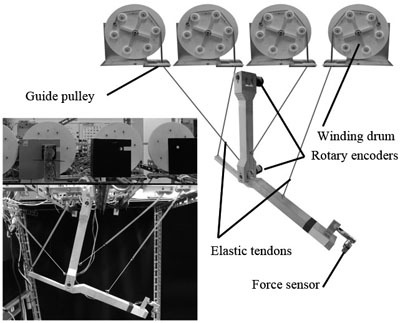 N. Saga, J. Nagase, and Y. Kondo, “Development of a Tendon-Driven System Using a Pneumatic Balloon,” J. of Robotics and Mechatronics, Vol.18, No.2, pp. 139-145, 2006. T. Noritsugu, M. Kubota, and S. Yoshimatsu, “Development of Pneumatic Rotary Soft Actuator Made of Silicone Rubber,” J. of Robotics and Mechatronics, Vol.13, No.1, pp. 17-22, 2001. G. Tonietti, R. Schiavi, and A. Bicchi, “Design and control of a variable stiffness actuator for safe and fast physical human/robot interaction,” Int. Conf. on Robotics and Automation (ICRA), pp. 526-531, 2005. K. Koganezawa, H. Inomata, and T. Nakazawa, “Actuator with non-linear elastic system and its application to 3 DOF wrist joint,” Int. Conf. on Mechatronics and Automation, Vol.3 pp. 1253-1260, 2005. K. Koganezawa and M. Yamazaki, “Mechanical stiffness control of tendon-driven joints,” Int. Conf. on Intelligent Robots and Systems (IROS’99), pp. 818-825, 1999. K. Koganezawa, Y. Watanabe, and N. Shimizu, “Antagonistic muscle-like actuator and its application to multi-d.o.f. forearm prosthesis,” Advanced Robotics, Vol.12, No.7-8, pp. 771-789, 1997. N. Hogan, “Impedance Control: An Approach to Manipulation: Part II – Implementation,” ASME, J. Dyn. Sys. Meas. Control, Vol.107, No.1, pp. 8-16, 1985. H. Hemami and J. Dinneen, “A Marionette-Based Strategy for Stable Movement,” IEEE Trans. on Systems, Man, and Cybernetics, Vol.23, No.2, pp. 502-511, 1993. K. Yamane, J. K. Hodgins, and H. B. Brown, “Controlling a Marionette with Human Motion Capture Data,” IEEE Int. Conf. Robotics and Automation, 2003. T. Lens and O. von Stryk, “Investigation of Safety in Human-Robot-Interaction for a Series Elastic, Tendon-Driven Robot Arm,” Int. Conf. on Intelligent Robots and Systems (IROS), pp. 4309-4314, 2012. G. A. Pratt and M. M. Williamson, “Series elastic actuators,” Int. Conf. on Intelligent Robots and Systems, Vol.1, pp. 399-406, 1995. T. Lens and O. von Stryk, “Design and Dynamics Model of a Lightweight Series Elastic Tendon-Driven Robot Arm,” 2013 IEEE Int. Conf. on Robotics and Automation (ICRA), Karlsruhe, pp. 4512-4518, May 6-10, 2013. K. W. Hollander, R. Llg, T. G. Sugar, and D. J. Herring, “An efficient robotic tendon for gait assistance,” Biomech. Eng., Vol.128, No.5, pp. 788-791, 2006. F. A. MussaIvaldi, “Human Movement Understanding,” Part II, Chapter 1, pp. 161-212, Elseier, 1986. T. Tsuji, “Human Arm Impedance in Multi-Joint Movements, Self-Organization, Computational Maps, and Motor Control,” pp. 357-380, Elsevier, 1997. H. Kobayashi, K. Hyodo, and D. Ogane, “On Tendon-Driven Robotic Mechanisms with Redundant Tendons,” Int. J. of Robotics Research, Vol.17, No.5, pp. 561-571, 1998. M. H. Raibert and J. J. Craig, “Hybrid Position/Force Control of Manipulators,” ASME J. of Dynamic Systems, Measurement, and Control, Vol.103, No.2, pp. 126-133, 1981.